Select one of the membership options below to sign up. Viva Health Club, (winner of the Local Business Awards 2016 for ‘Outstanding New Business) is a modern health and fitness facility located in Blacktown that offers professional services designed to promote to individuals seeking to lose weight, develop a healthier lifestyle, increase fitness levels or learn more about diet and nutrition – in addition to those supporting those with various chronic diseases and medical conditions. Our purpose is to assist our members to achieve their goals by formulating health related exercise programs, whilst also providing healthy living education. Viva Health Club is not just “your average gym” – our service offerings are aimed at long term support to help you reach your health and fitness goals in a friendly, caring and comfortable environment. Located within the Eastbrooke Blacktown GP Super Clinic, Viva Health Club is a unique, comprehensive and fully integrated modern facility. Our health and fitness club provides local residents with a range of services and facilities so that that you can speak to all of the experienced professionals in the one convenient location. So whether you’re looking to lose weight, recover from an injury or improve your general health, we have the facilities to meet your needs. Our health and fitness facility utilises a team of highly trained fitness consultants and exercise physiologists. Our personal trainers can offer an assessment to evaluate your current physical condition. This will allow us to tailor a specific plan around your individual needs. Drop into Viva Health Club today, call 9671 2233 or email us to receive your FREE 7 day pass. Our friendly staff can assist you with any questions you may have about our fitness and health club’s services available in Blacktown. "I enjoy training at Viva Health Club due to the quality of our equipment and knowledgeable staff"
"Such a wonderful gym/health club to join. Staff are very friendly and willing to help you out. Would recommend to anyone wanting to join. 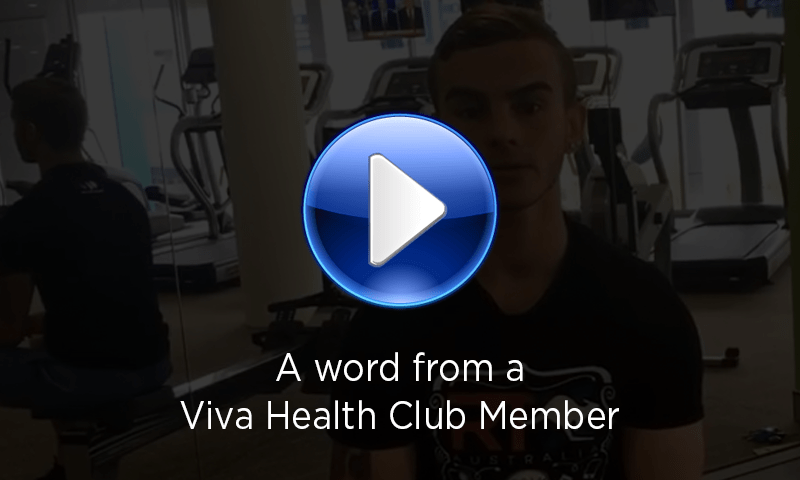 Looking forward to being a long term member"
"‘Viva is unique as the members are like me, I don’t feel uncomfortable doing my workout, everyone is so friendly and the staff are fantastic"